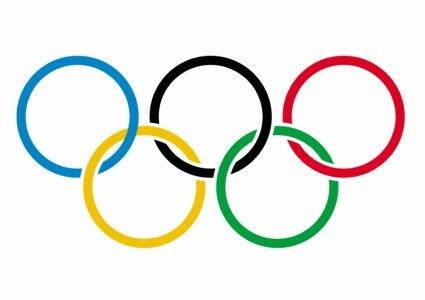 I find the NBC coverage of the long jump at the Rio Olympics frustrating. The landing area is clearly marked off in meters, but the announcers report distances in feet and inches. I can estimate the length of a jump in meters by simply watching, but I have to engage in mental gymnastics to make sense of a reported jump of, say, 23 feet, 5½ inches. Reporting 7.15 meters would make more sense and make the results more intelligible. Does NBC really believe that Americans as so wedded to the English system of measurement that they can’t be trusted with lengths measured in meters, which, after all, are so much easier to compare with one another? which is 5,145,662,993 in decimal notation. I had corrected this omission earlier, but, as any programmer knows, correcting one error often introduces another, and it did so in this case. In the unlikely chance that someone reading this blog post is relying on my list, please be sure that you have examined the revised list for order-9 and order-10 base-12 PPDIs. I apologize for the error(s). I am compiling a list of base-13 PPDIs, but this project will take a long time. Originality can be an elusive thing. 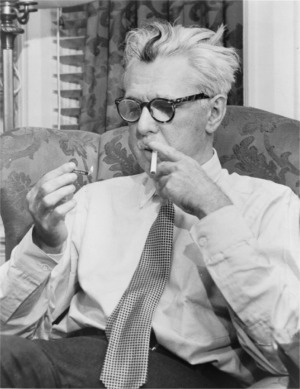 I had been planning to write an essay about the candidacy of Donald Trump and the James Thurber short story “The Greatest Man in the World.” A preliminary Google search, however, uncovered an opinion piece in the Los Angeles Times along the lines of what I had planned to write. The Patt Morrison essay, titled “Donald Trump and ‘The Greatest Man in the World’”—imagine that—was published nearly a year ago, on September 16, 2015. The Thurber story appeared in the February 21, 1931, issue of The New Yorker, nearly four years after Charles Lindbergh’s famous solo flight across the Atlantic. (The story was reprinted in The Middle-Aged Man on the Flying Trapeze and The Thurber Carnival.) It concerns a boorish loudmouth pilot, Jacky Smurch, who flies around the world nonstop. When Smurch lands, he is whisked away by what we might today call members of the Establishment, who proceed to cajole the loutish pilot into acting the part of a gentleman hero. Finding this project untenable, the secretary to the Mayor of New York City, with the tacit approval of the President of the United States, pushes Smurch out the window, resulting in his untimely death. Smurch is given an elaborate funeral and buried in Arlington National Cemetery. “Why is this story about Trump?” Morrison asks. “Because for the Republican establishment, Trump is a better-class Jacky Smurch.” Not much better, I would argue. The question posed in the L.A. Times is whether the GOP establishment will figuratively (I assume) throw Trump out the window or whether Trump will do the same to the GOP establishment. In September of last year, of course, the threat of Trump’s actually becoming the Republican nominee was only theoretical. The need for the party to act is now even more urgent. I don’t expect Reince Priebus literally to defenestrate Donald Trump, but the RNC could withdraw its support in the hope of saving the hides of down-ticket GOP candidates. At this point, however, it is really unclear whether pretending that Trump is a reasonable candidate or admitting that he isn’t will do the party more good. Morrison suggested that the country may no longer prefer civilized—my word, not hers—candidates. I sincerely hope that this isn’t the case. We cannot afford a Jacky Smurch President of the United States. The 2016 presidential race is certainly unusual. Both major candidates are widely disliked. One is distrusted by many, though the other seems to be a pathological liar, a fact that would seem to discourage trust. One has a strong résumé, but the other has no obviously relevant experience. One fails to excite voters; the other excites voters rather too much. For good or ill, many Democrats will vote for the Democrat, and many Republicans will vote for the Republican. But more voters than usual seem to be conflicted this year. No doubt, many votes will be cast against one of the candidates rather than for the other. Some people will be tempted to vote for a third-party candidate. A relatively small number of people will vote for the Green Party or the Libertarian Party candidates out of true sympathy for what those parties stand for. A much larger number will likely vote for a third-party candidate as a “protest.” I can respect the former view, though I am not in sympathy with their political philosophy. The protest voters, on the other hand, need to realize that their candidate will not win and their and similar votes could have an unpredictable (and perhaps disastrous) effect on who, of the serious candidates, will actually win. Delivering a protest vote is simply an abdication of one’s civic responsibility. I am pleased that a woman is running for president, though I am not completely happy that that woman is Hillary Clinton. Nonetheless, Clinton is certainly qualified and is a compassionate and sane human being. The same cannot be said of her Republican opponent. 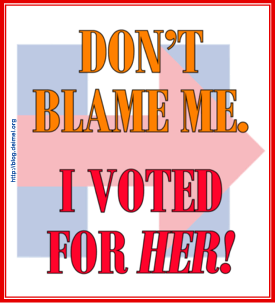 Voting for Hillary Clinton is, I think, the only responsible action a citizen can take on November 8. It is distressing that so many people who call themselves Christians, particularly Evangelical Christians, are supporting Donald Trump. To these people I ask, “How would Jesus vote?” Can any Christian honestly answer “Donald Trump,” the man Senator Elizabeth Warren rightly described as caring only about himself, “a small, insecure money-grubber who doesn’t care who gets hurt, so long as he makes some money off it”? Does The Donald exemplify any of the virtues Jesus extols in the Gospels? Clinton, on the other hand, has led a life of public service with a particular emphasis on child welfare. She is not a saint, but she seems to be a sincere Methodist, whereas Donald Trump appears to be a Presbyterian (and, indeed, Christian) in name only. For whom do you think Jesus would vote were he a U.S. citizen today? It wouldn’t be Trump, and it wouldn’t be a third-party candidate. The Kingdom of God would not be advanced by any of those votes. Because I believe that “How Would Jesus Vote?” is a devastating question, I have had buttons made with that legend. I plan to wear one of the buttons every day from now until November 8. If you would like to buy one or more buttons, send me a message to that effect. I’ll need to order more, and, since this is not a profit-making enterprise, I don’t want to order more than I need to. I invite you to wear one of these buttons proudly (well, perhaps modestly). The license plate on the North Carolina car I saw did not carry the “First in Flight” logo. Instead, it proclaimed “First in Freedom.” What was less visible while driving in traffic were two dates at the top edge of the plate. The dates were May 20, 1775, and April 20, 1776. The North Carolina Division of Motor Vehicles explains that these are the dates the Mecklenburg Declaration of Independence and the Halifax Resolves, respectively, were signed. I have to admit that the Mecklenburg Declaration of Independence and the Halifax Resolves were not the first things that popped into my mind when I saw “First in Freedom.” What I thought of was the gerrymandering by the North Carolina General Assembly and the various laws it has passed recently to make it harder for people (especially people would don’t look like the white folks in the North Carolina General Assembly) to vote or to use the most logical public restroom. North Carolina may have been first in freedom chronologically, but it is at the back of the pack when it comes to actually delivering freedom to its citizens. Apparently, the irony was lost of the state’s legislators. Now, North Carolina should have a “First in Discrimination” license plate. Or a new General Assembly. I’ve heard a couple of odd locutions on NPR in the last few days. One of these was on Wait Wait…Don’t Tell Me!. The odd phrasing was part of an underwriting announcement. I can’t be too specific about what I heard because I wasn’t taking notes when I heard the program on the radio, and the podcast doesn’t include underwriting announcements. Anyway, the announcement warned against someone “pretending to impersonate” someone else. To impersonate someone, of course, is to pretend to be that person. It isn’t clear what “pretending to impersonate” someone is. Presumably, if you are only pretending impersonation, you aren’t impersonating at all. Or maybe you’re just doing so badly. Actually, I don’t know what you’re doing. I suspect the warning was about actual impersonating, and the copy, which I’ve heard multiple times, is just poorly written. That I cannot remember the sponsor certainly suggests as much. On today’s Diane Rehm Show, Gabriel Sherman used an odd phrase, though not really an incomprehensible one. 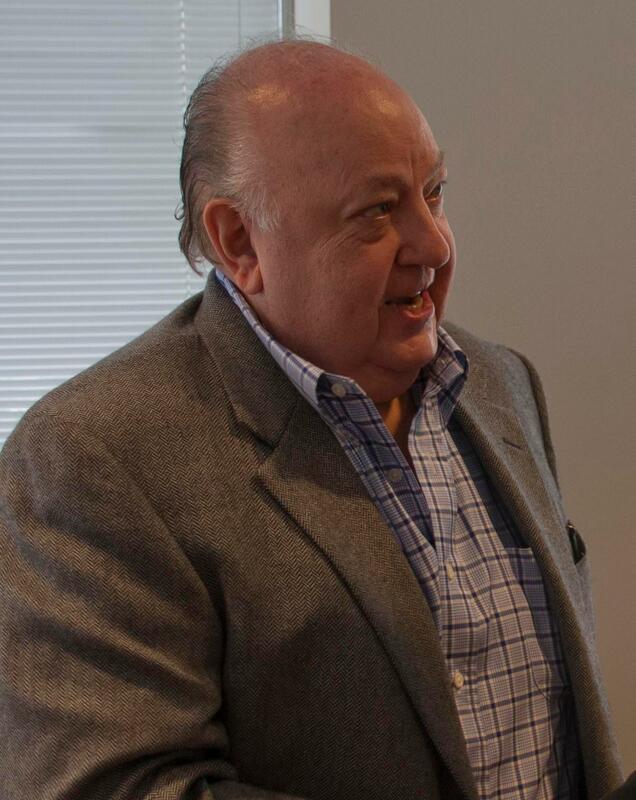 The topic of the morning was sexual harassment at Fox News, particularly on the part of former Fox News head Roger Ailes. Writer Sherman reported having heard stories from many women who had worked under Ailes over the years. Although the women had not spoken to one another, Sherman described their stories of harassment as remarkably similar. “And so,” he concluded, “I find their stories incredibly credible.” Although “incredibly credible” seems oxymoronic, it is clear that Sherman simply meant that the stories were exceedingly believable. (It is almost unbelievable how believable they are, under the circumstances.) He should have said something more straightforward.